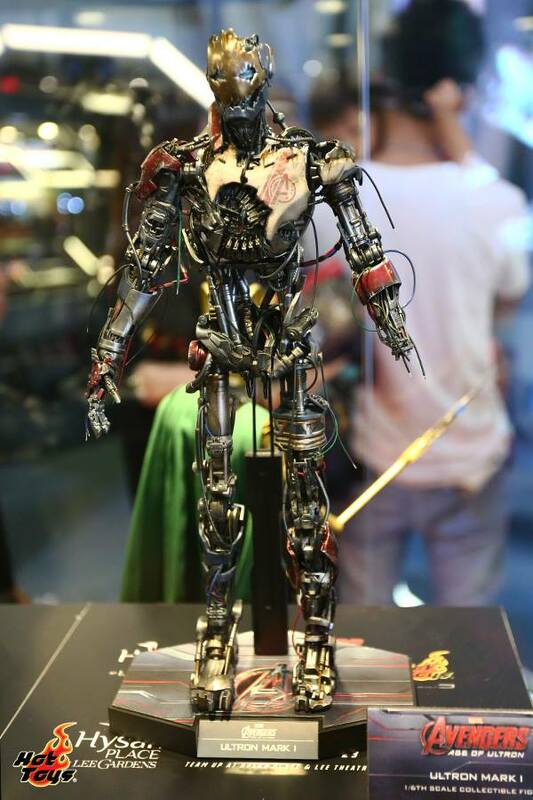 With one of the biggest blockbusters of the year Marvel’s Avengers: Age of Ultron’s release coming very soon, Hot Toys is very excited to host exhibition tour around Asia to bring a number of Avengers: Age of Ultron collectible figures and incredible life-size statues to fans in the continent! The first stop will be Hong Kong! 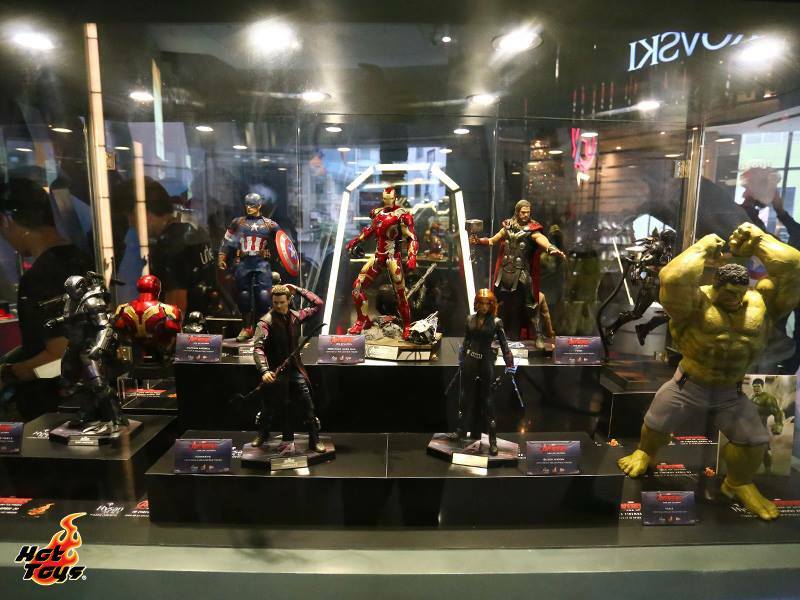 The “Marvel’s Avengers: Age of Ultron Team Up at Hysan & Lee Theatre Powered by Hot Toys” event will begin on April 3! 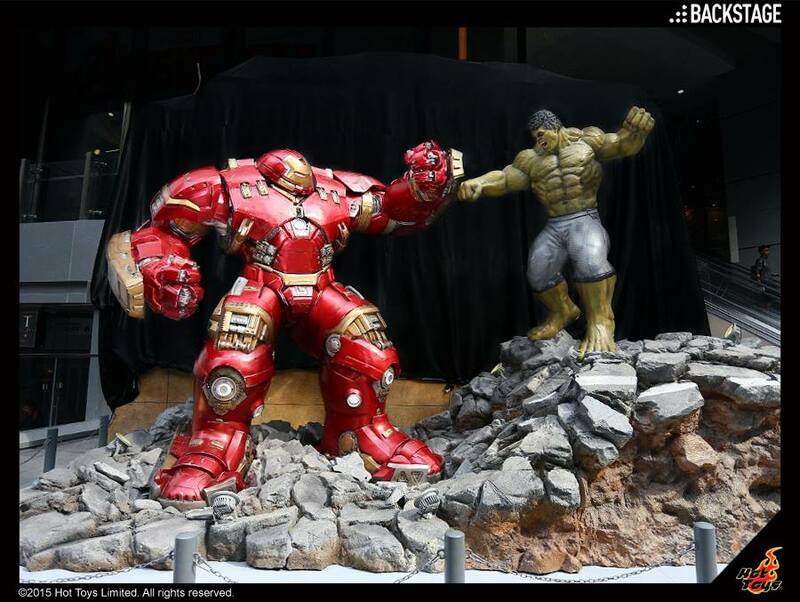 One of the most eye-catching highlights of the Hong Kong event is the ground-breaking life-size statues of Hulk & Hulkbuster which will be placed by the entrance to let visitors immerse themselves in the adrenaline-pumping battle between the angry monster and gigantic machine! There will be more amazing attractions at the exhibition, so don’t forget to come visit when the event starts if you are in the city. Furthermore, a specially designed collectible figure will be available for pre-order exclusively during the Avengers: Age of Ultron event period! Keep your ears sharp for the update! 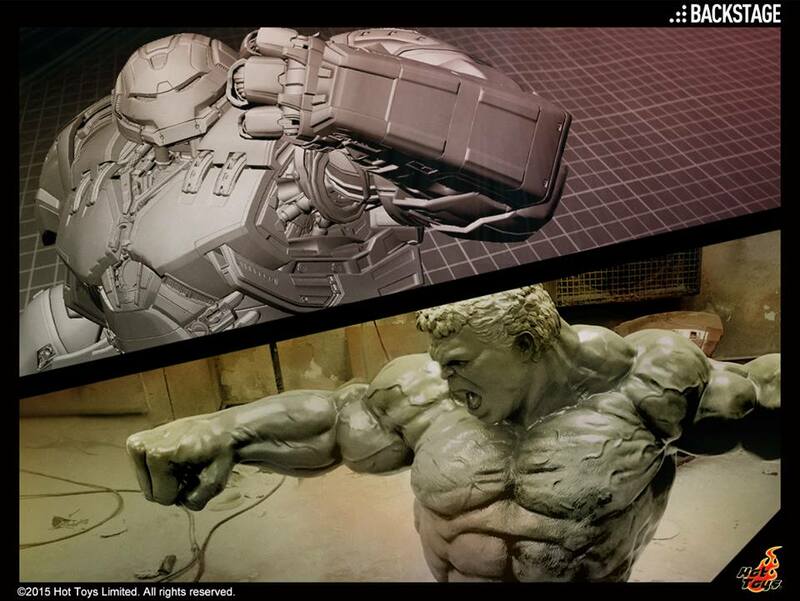 In the meantime, check out this backstage sneak peek of the Hulk & Hulkbuster life-size statues in the making! After the jump, you can check out previews of their Captain America, Hulk and Hulkbuster statues. I'm not sure if they're marketing them, or if they're just going to be display "draw" pieces for the events. 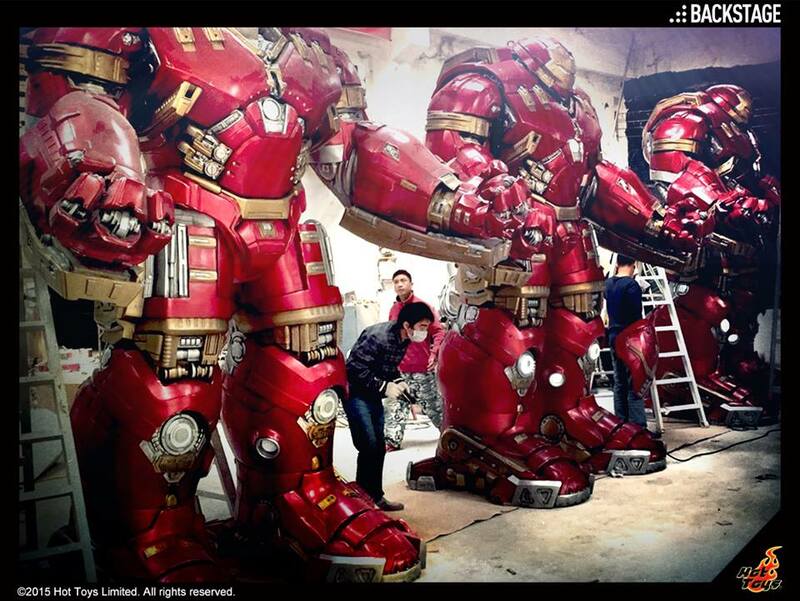 I do not remember if HT is selling these but there are 10ft tall Hulkbuster statues for something like 20000-25000. The company that I read the article on was also showing off life size statues of all the Avenegers. Still no word if these will be for sale. Man, you'd totally be the most awesome comic shop in town if you had a full set of these chilling in your shop. Wonder if they'll do the full team before all is said and done? Probably will have them all. 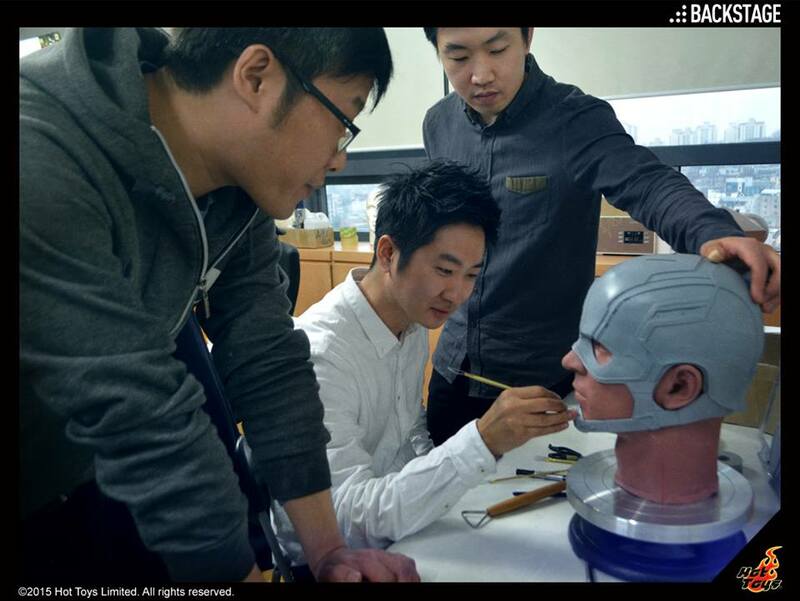 So far they've previewed Cap, Hulkbuster, Hulk, Thor, Ultron. Wouldn't be surprised to see at least a Hawkeye and Black Widow before the tour starts. Thanks for the heads up. 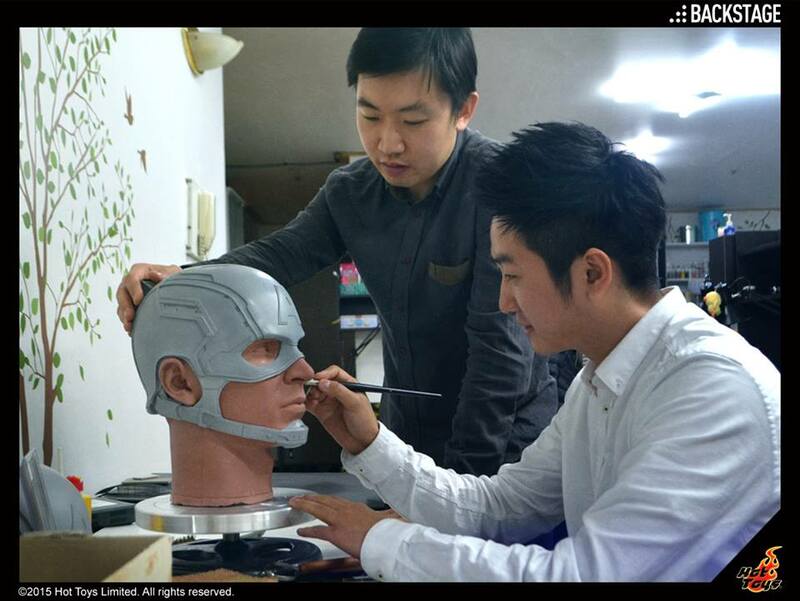 The larger Ultron looks to be a 1/4 scale figure, as opposed to the 1/6 scale figures shown. Pretty sure the large Ultron is 1/6 scale and is the Ultron Prime that MAY come with additional pieces to become Ultimate Ultron. He's supposed to be 16" tall according to the Sideshow pre-order. You know what, I think you're right. 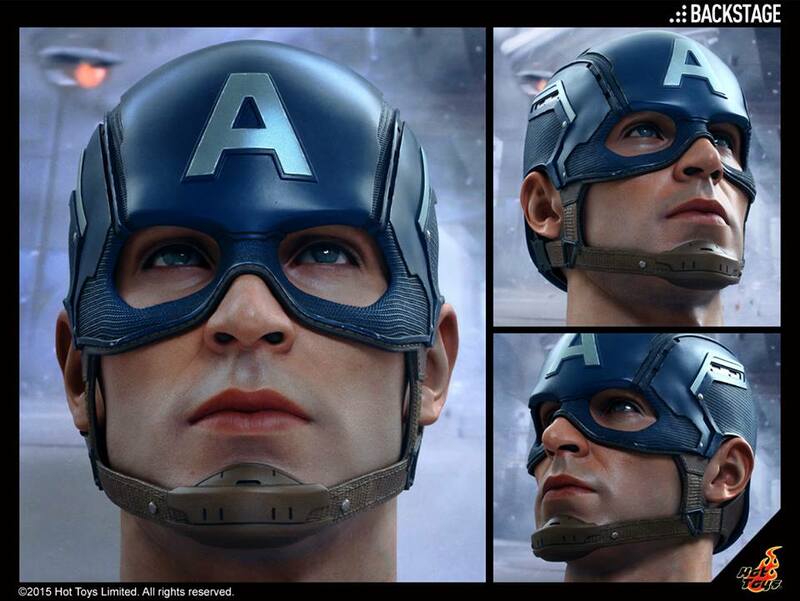 Looking at the base, it's the same as the 1/6 scale official pics for him. Good catch. According to the movie stats, Final Form Ultron/ Ultron Prime is supposed to be around 9 feet tall. So the figure looks correct if Hawkeye is about 6 feet in scale. I hope with Avengers 2 coming out soon will get the FoxKids Avengers cartoon on full run dvd. Ultron played a big part in that cartoon. The smaller ultron is the sentry, and the battered robot figure is Ultron Mark 1. I'm just curious as to why they chose to hide Thor in the picture. You can see his cape next to Ultron but that's it. They showed off Ultron Prime but not the Mark 1 or the sentry. it's official.. i need to win the lottery. lol. 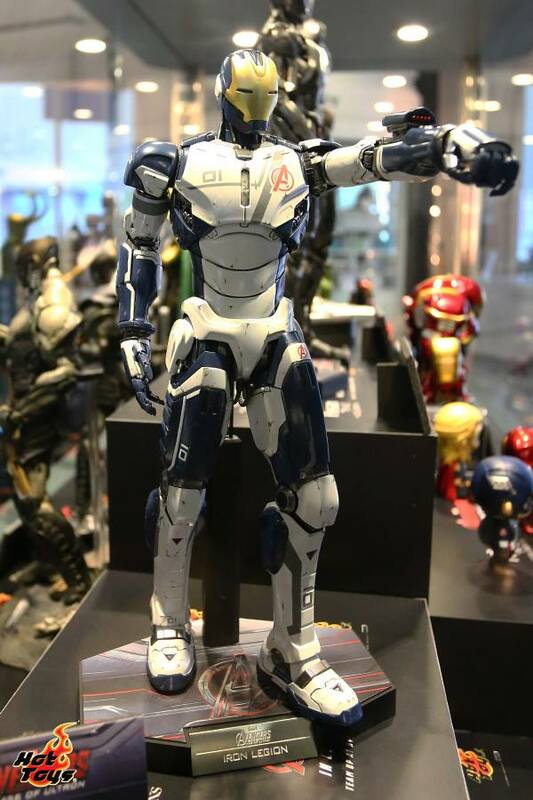 i really want to see a hot toys mark 45. ultron looks massive, what an awesome looking collection. When I first saw these I started freaking out because there was a Loki in the background with helmet. But then I realized it's probably just first Avengers Loki when I saw there was also a Coulson and Fury and Chitari figures as well. Hmmm, I hope that Iron Legion figure is reasonably priced or they offer a 2-pack. I guess same with the Ultron Sentry. I'm not into army building with HT 1/6 figures, but having a presence of these guys would be nice. I'm going to have to make some hard choices on what to get and not get from the HT Avengers lineup. i wish i was the kind of person who only collected hot toys figures. that way, i could probably afford far more of them.. it's collecting all of the other stuff that puts owning all of these far out of reach.